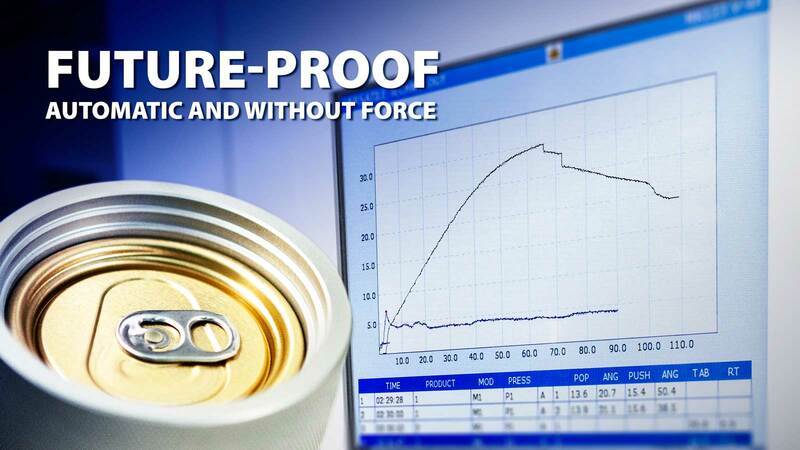 Testing the rivet tightness of SOT beverage ends becomes increasingly crucial as technology evolves and breakthroughs in manufacturing continue. Previous tests by systems that manually aligned the tab of an end could often result in measurement errors. For this reason, we at Versatile Technology, understand the necessity to test each tab automatically and under no force to ensure the rivet tension meets required specifications. We achieve this accurately every time with our own TABTRACER system that ships as a standard feature in our Openability and Versatab Automatic Pop & Tear gauges. Some of our valued customers, like the Al-Jomaih Can Making Company in the Middle East and Crown affiliates in Central America, think so too and have already ordered the new model TK065H Openability Gauge for their production lines. Versatile’s TABTRACER is a zero force tab system that eliminates alignment errors due to un-wanted tab rotation. It’s available now so that you’re well prepared for the future.